Godzilla vs. the Rose at the Trylon! Posted on August 19, 2013 by Peter Schilling Jr.
Here’s a tip for you kids: if you’re ever a grieving scientist who’s thinking of mixing DNA from your late daughter with cells from Godzilla and a rose bush, don’t do it. Before you can say “giant carnivorous plant” you’ll have an unholy mess on your hands: namely, a 200-foot, acid-spewing monster called Biolante that’s lumbering toward Tokyo. Oh sure, you might get lucky. 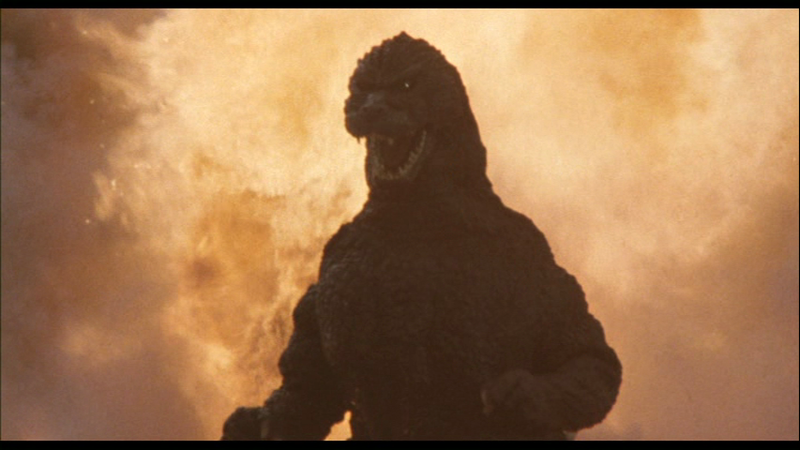 Godzilla, whom everyone assumes is dead, might extricate himself from that volcano he fell into at the end of the last movie. And the two monsters might run into each other and they might get into a big fight, and with any luck destroy each other. You might even befriend a 17-year-old psychic who can communicate with Biolante and help you guide its actions. And the military might have a super-advanced armored drone called the Super-X 2 that comes equipped with lasers, missiles and its own inspiring theme music. And you might be able to foil the plans of an American bio-tech company that has sent mercenaries to steal your experimental DNA for its own nefarious purposes. But come on—what are the odds of all that happening? Showtimes: Monday and Tuesday, 7:00 & 9:00.